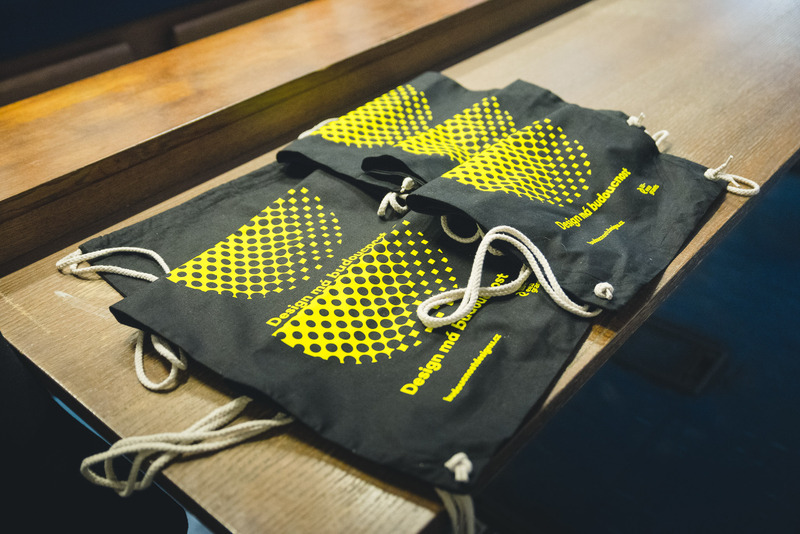 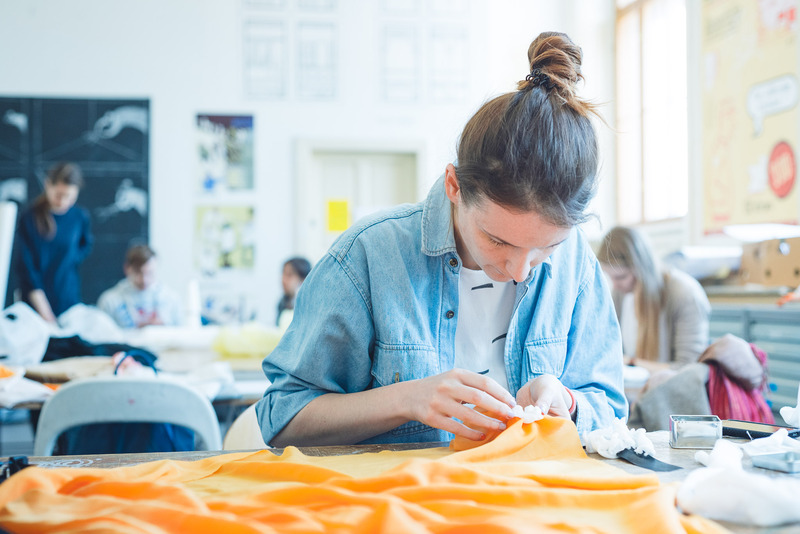 Responsible and sustainable fashion? 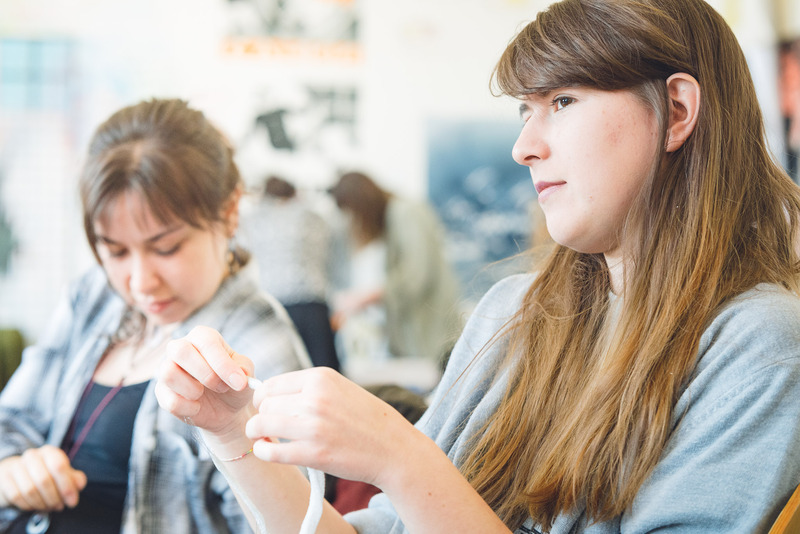 Start with textile! 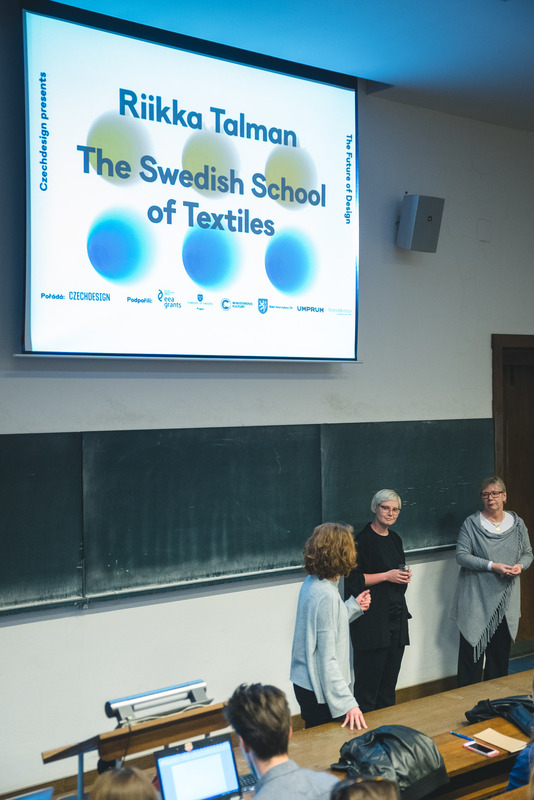 Let’s draw inspiration from Sweden where, in a research centre of one of the most prestige schools, The Swedish School of Textiles, they develop a “Smart Textiles” concept. 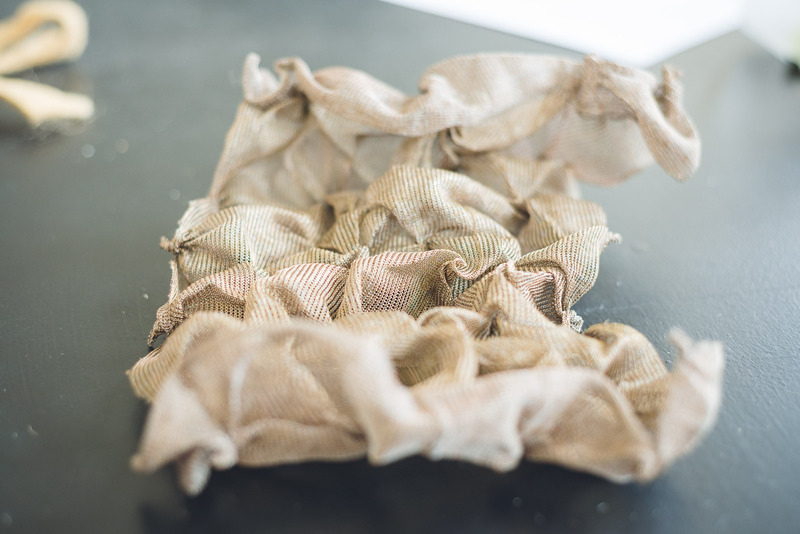 Durability and sustainability of textile is often artificially prolonged to the longest possible time. 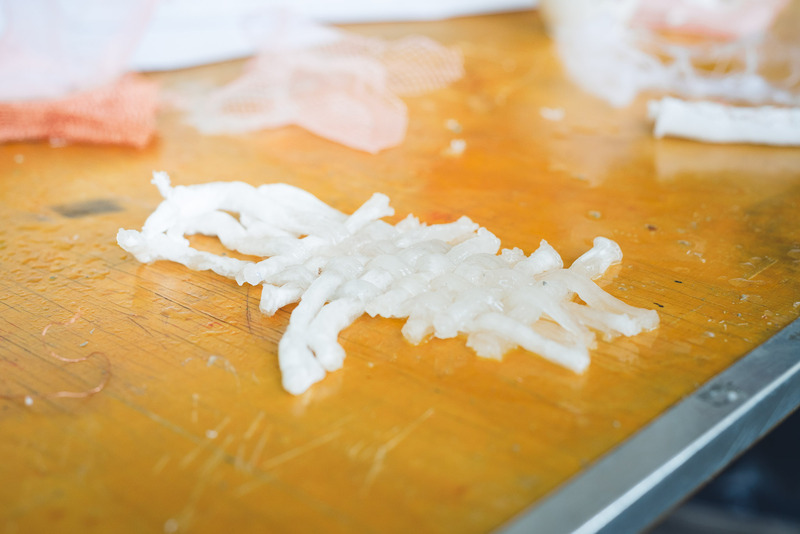 But what if aging of this material is one of the greatest assets? 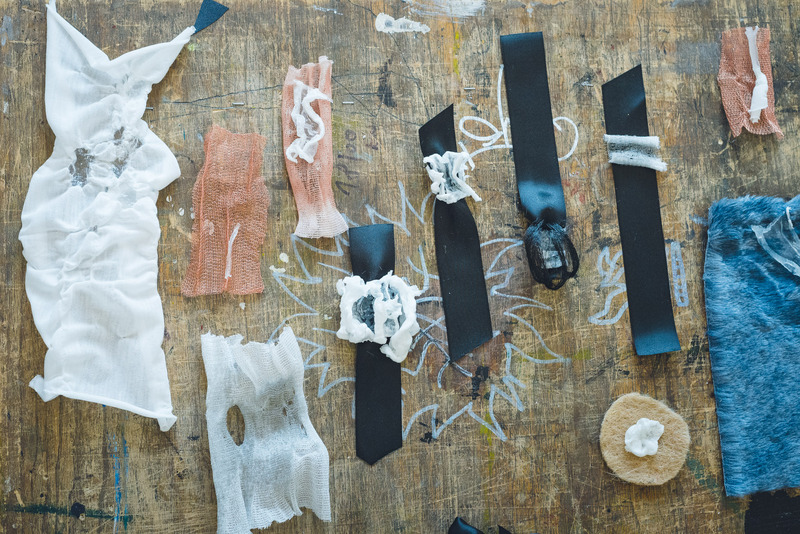 Can textiles with different lifespans help to a better sustainable future of fashion industry? 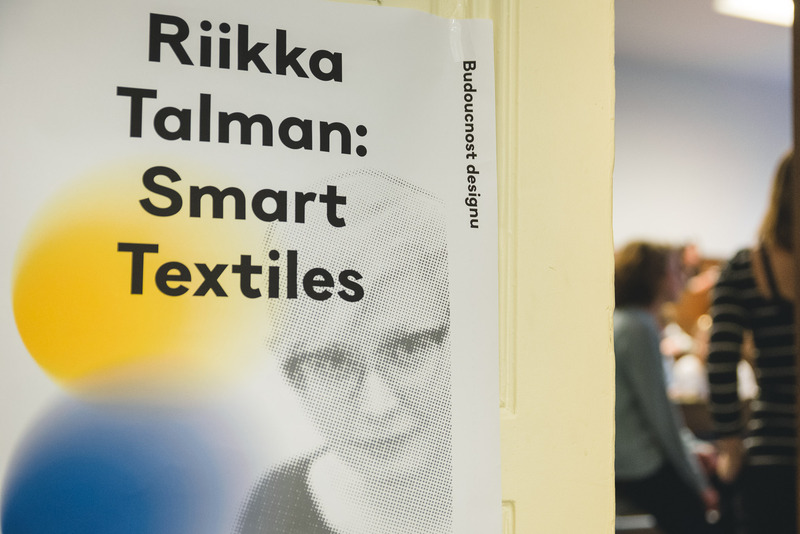 About textile, materials and techniques leading to sustainable fashion came to give a lecture Riikka Talman, an expert in textile sustainability at The Swedish School of Textiles, University of Borås. 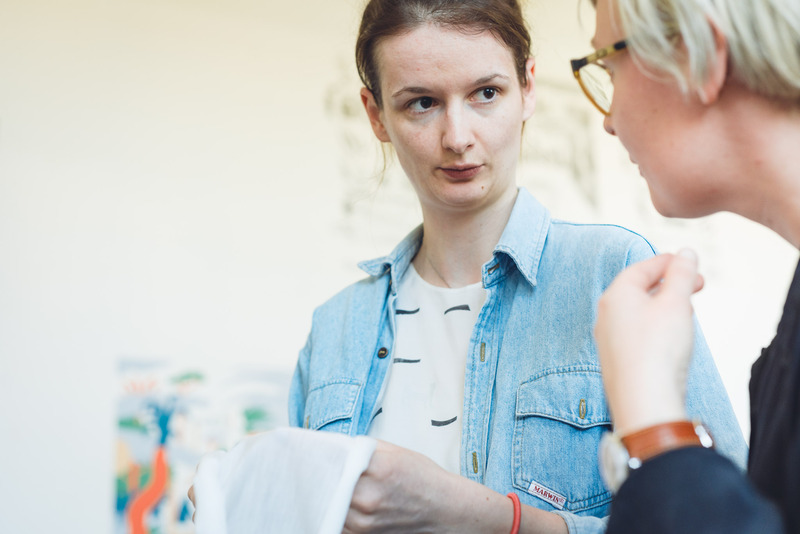 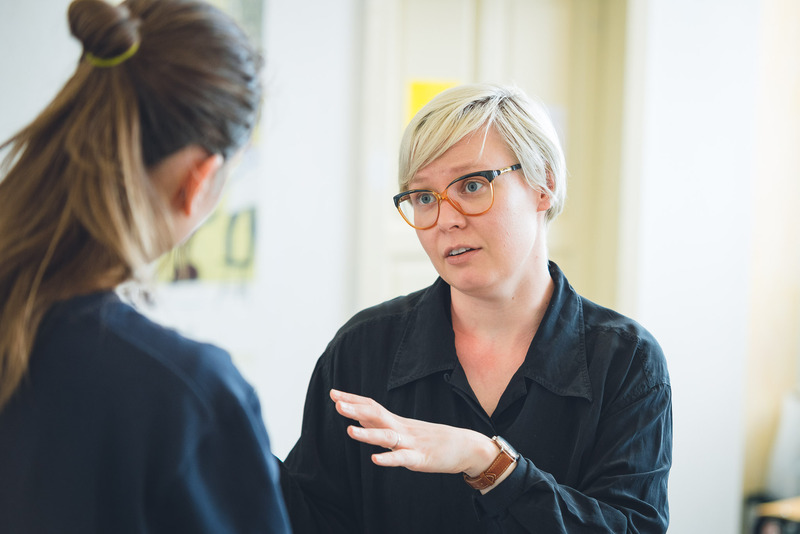 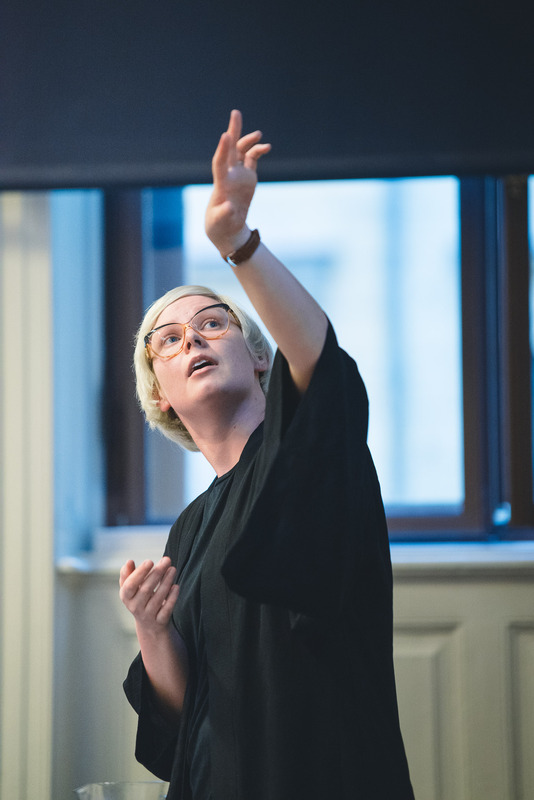 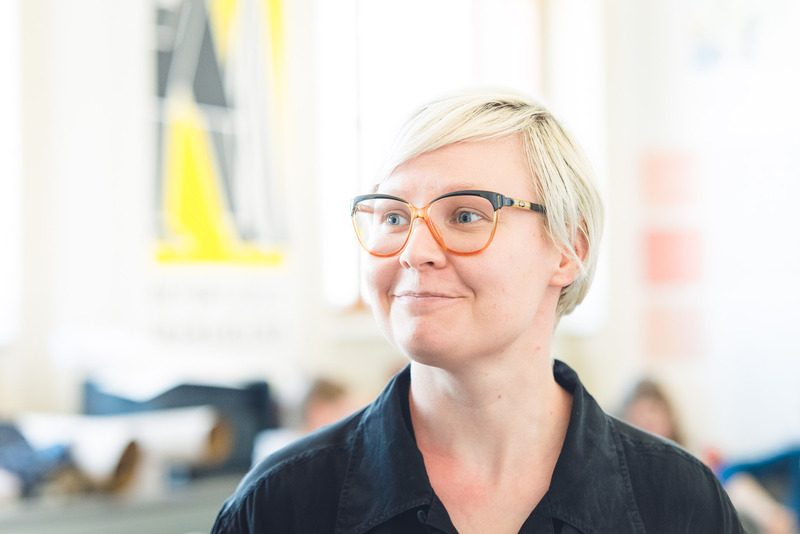 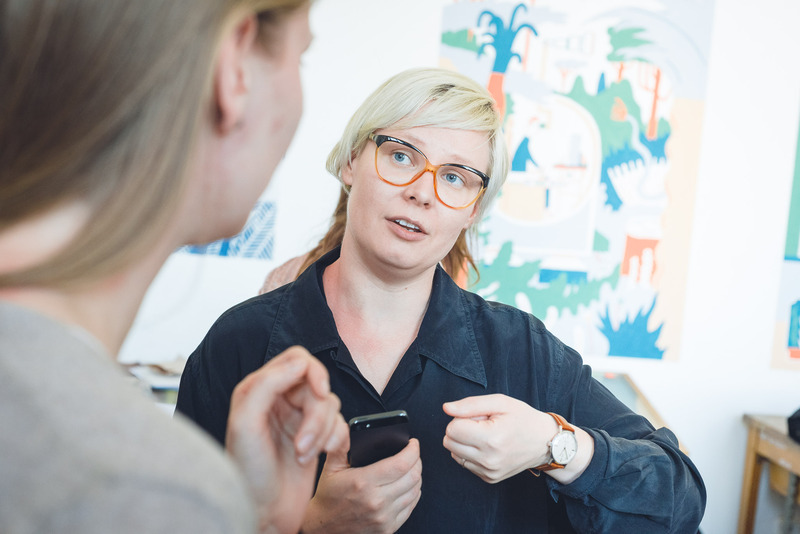 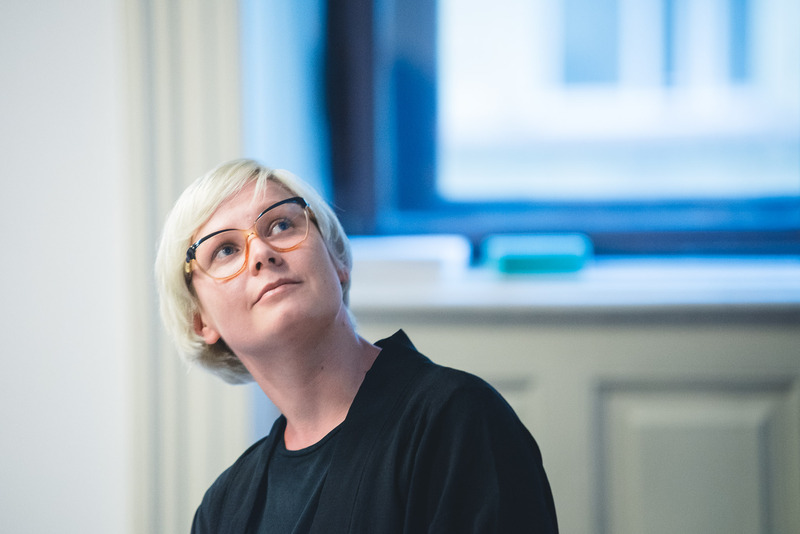 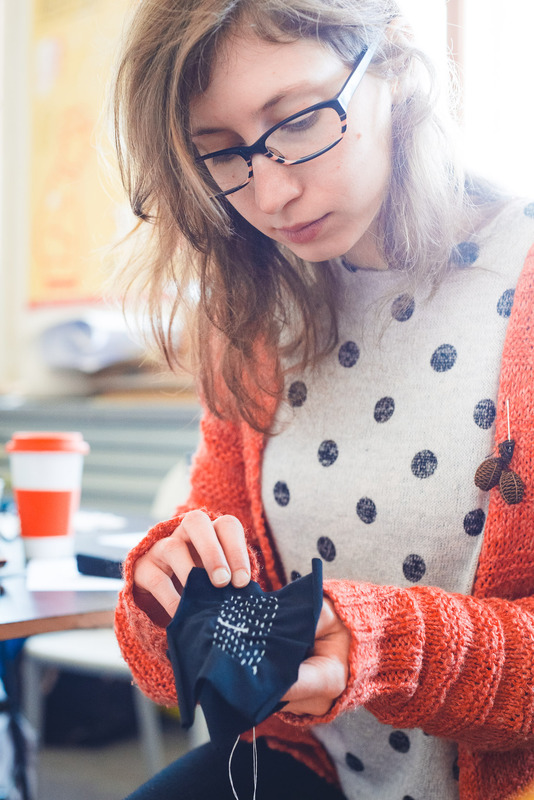 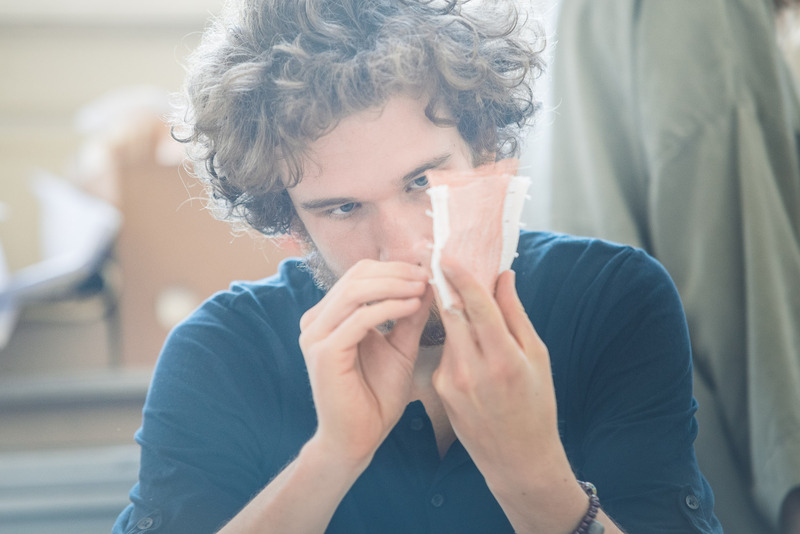 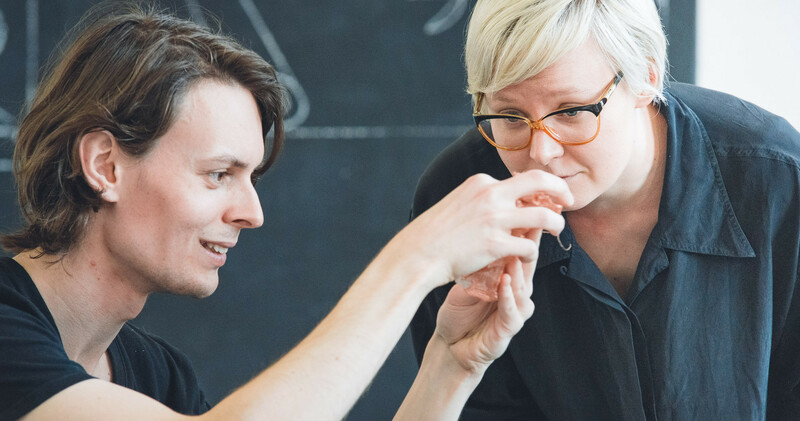 is a postgraduate student from The Swedish School of Textiles in Borås who is engaged in a research in textile design at Smart Textiles Design Lab. 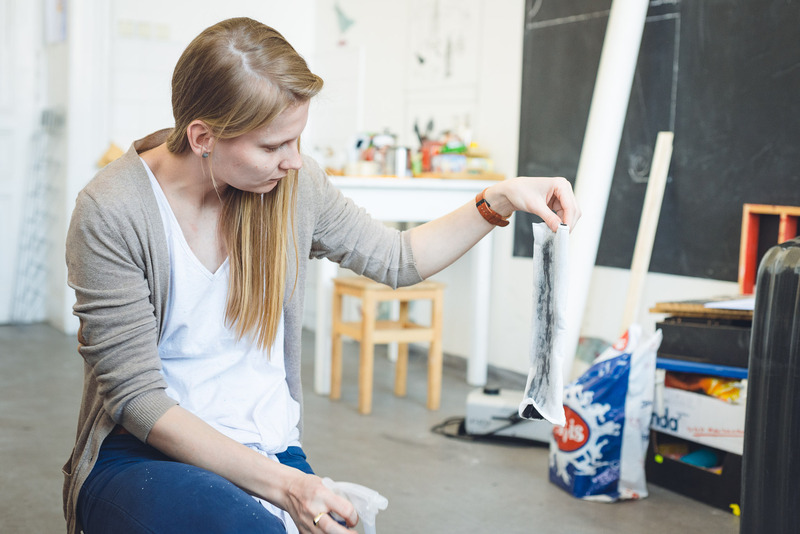 With her great experience in the textile branch, she currently deals with tactile properties of textile, aging of this material and ways how to work with a changing quality of fabric in terms of time. 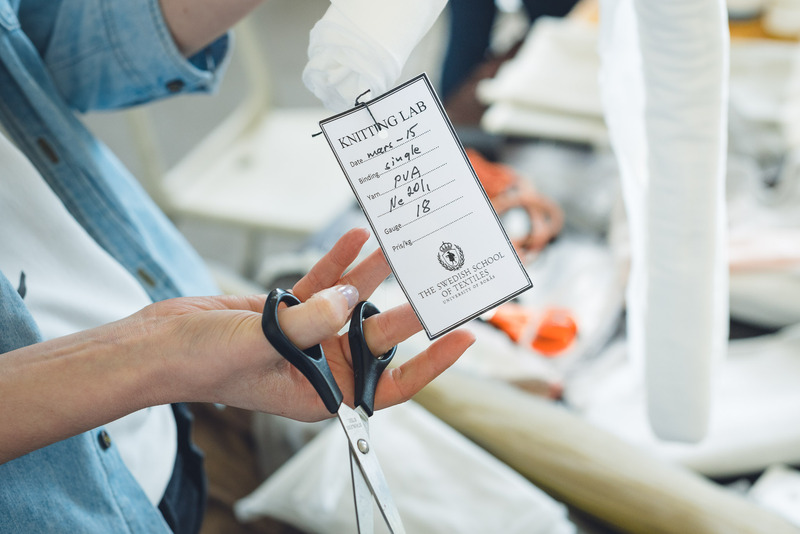 was founded in 1866 and it belongs to the most prestige educational institutions specialized in textile and fashion industry. 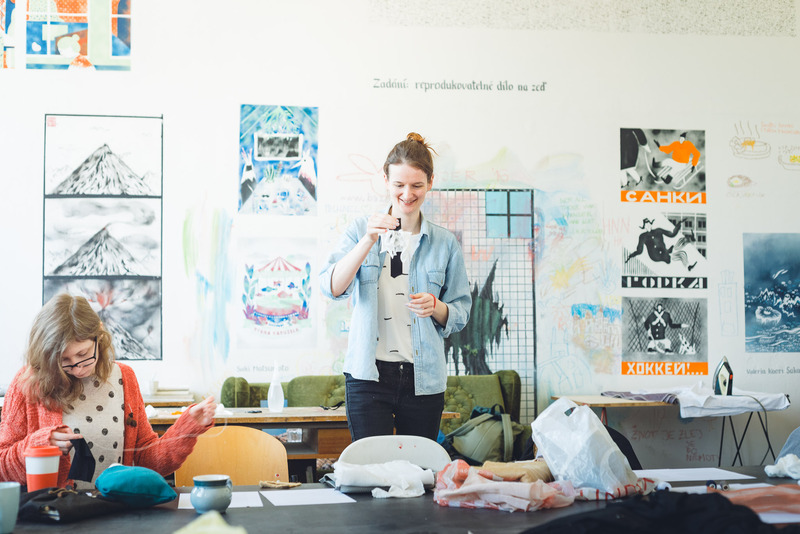 It is embodied in the University of Borås which is located in the southern part of Sweden. 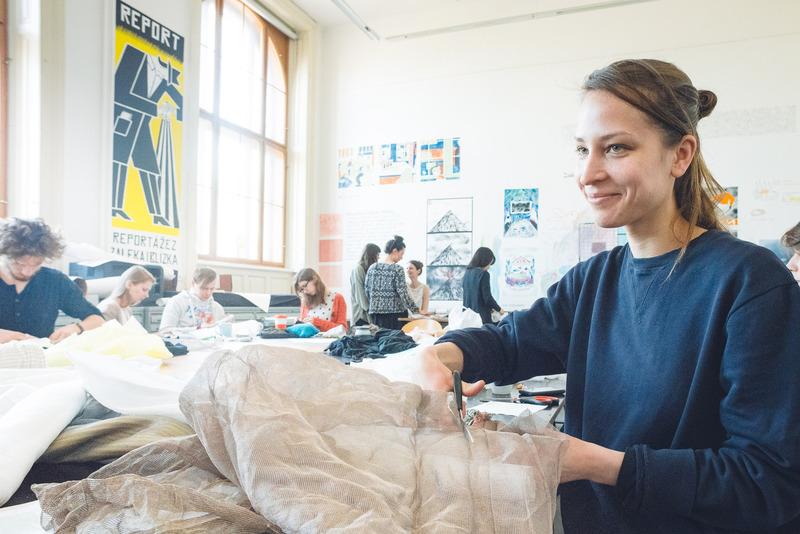 The main focus of its international research activities is sustainability in terms of consumer behavior, global market, recycling and new ways of textile processing. 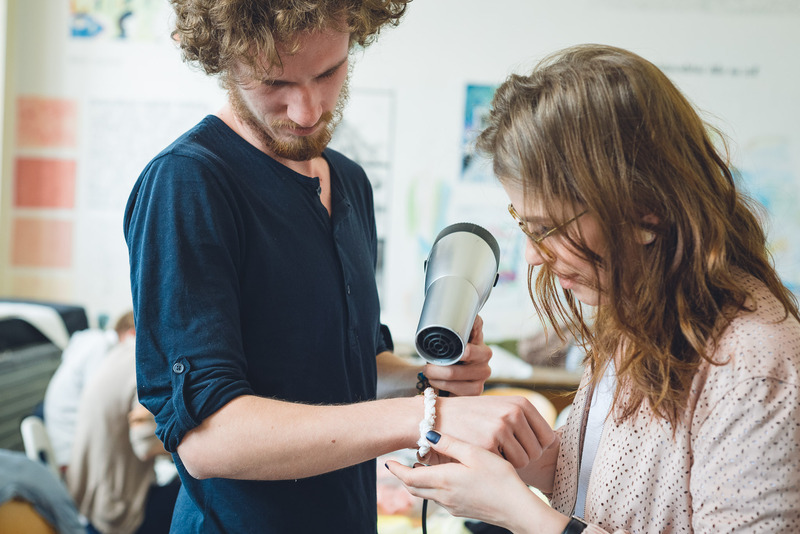 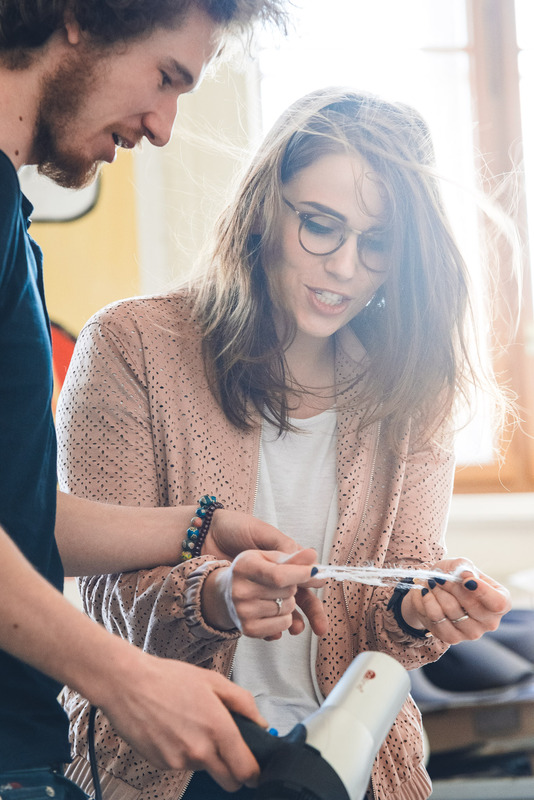 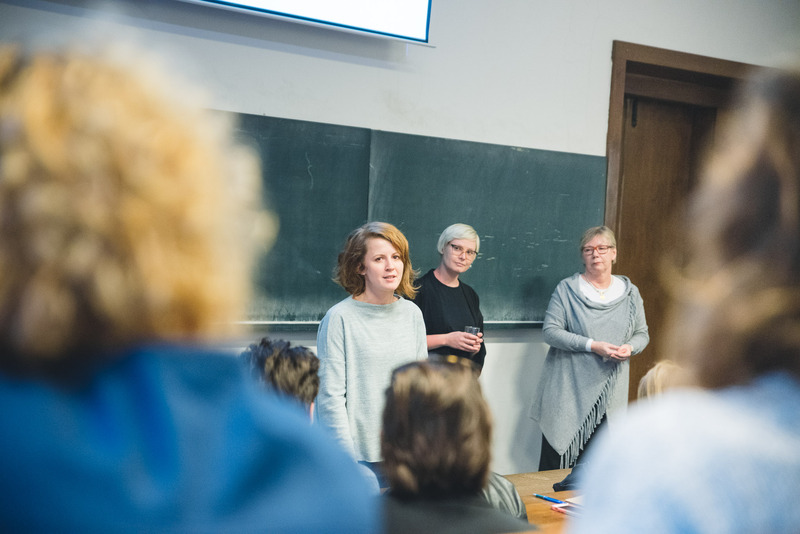 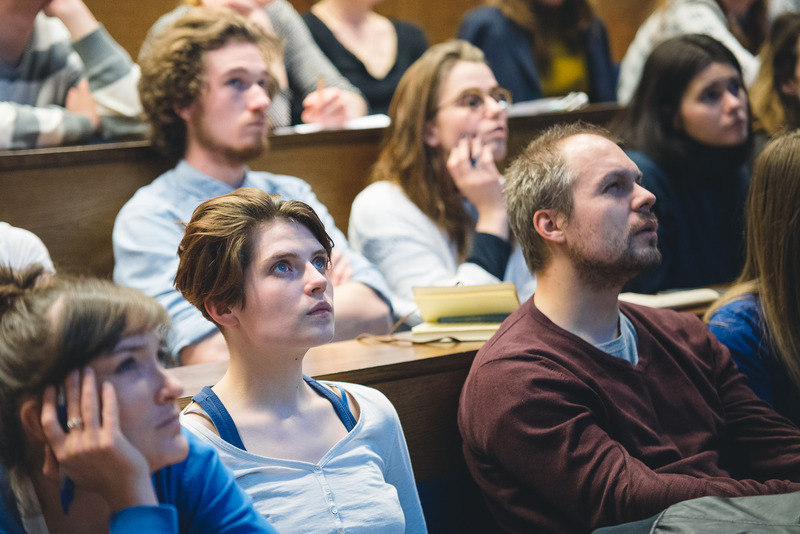 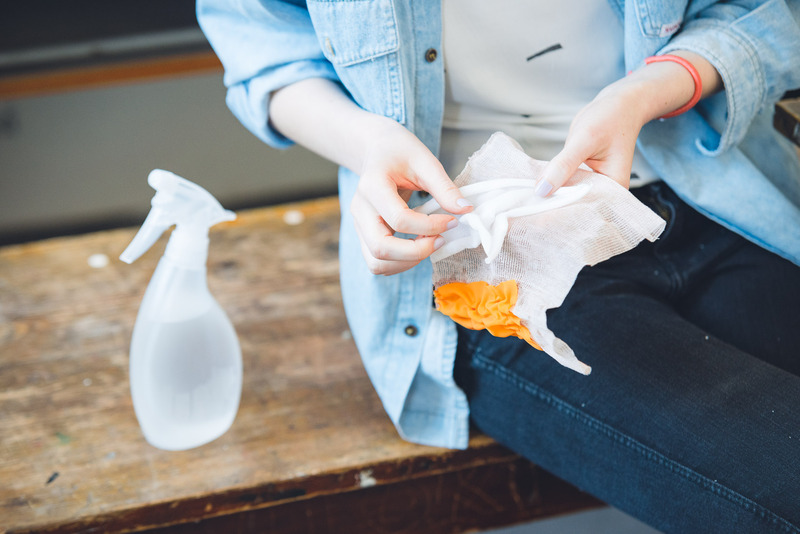 University students have the possibility to use the available research centers – Textile Fashion Center, Fashion Incubator and Smart Textiles Design Lab. 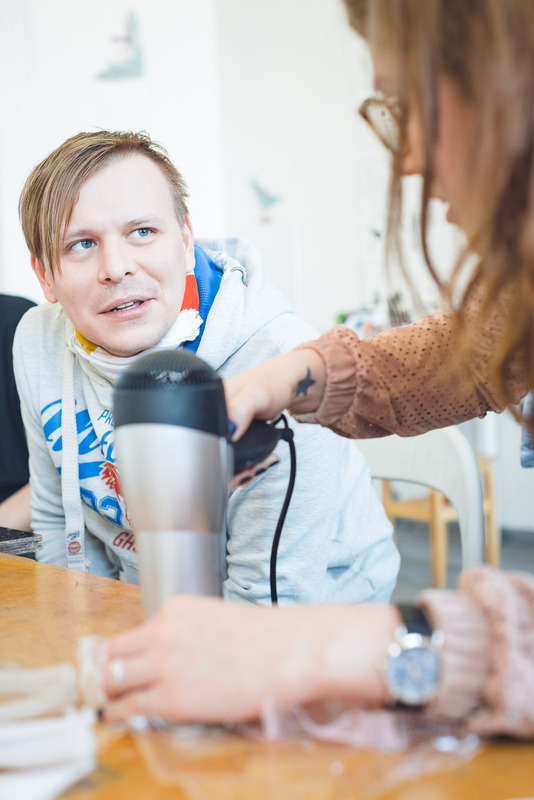 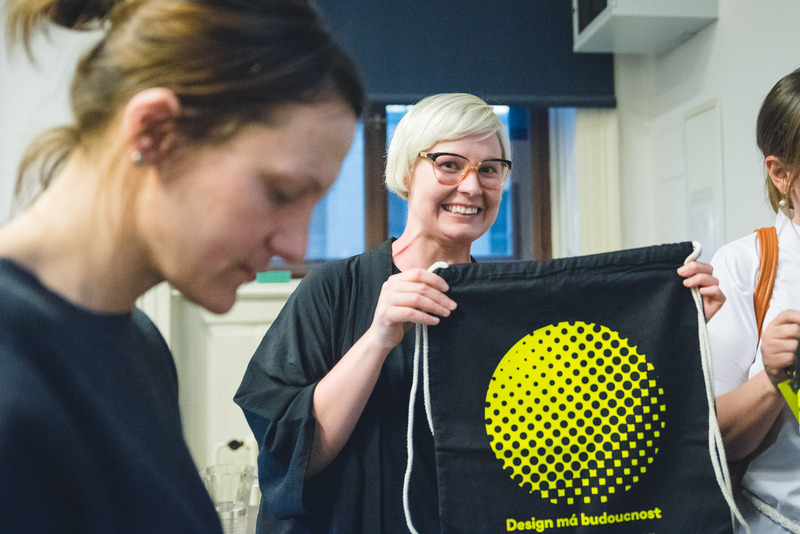 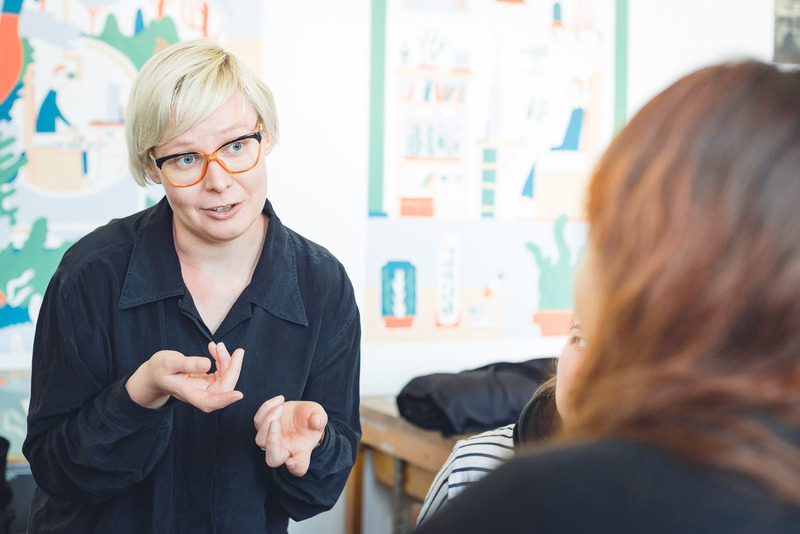 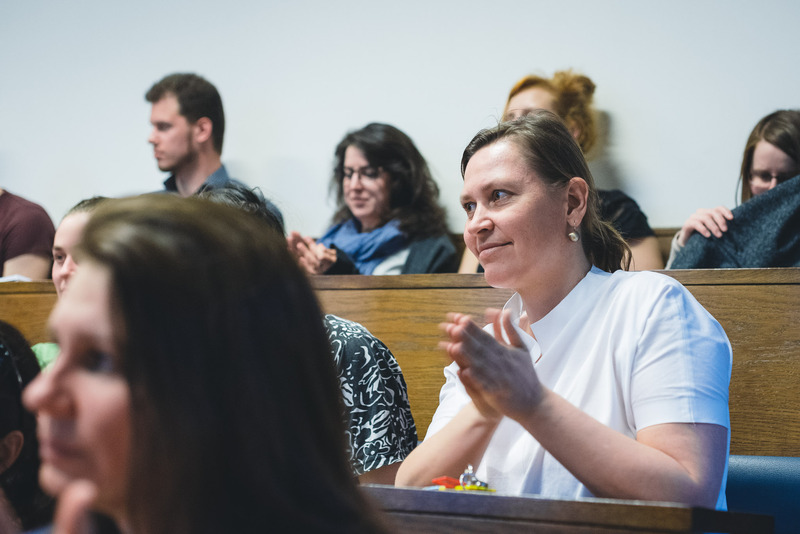 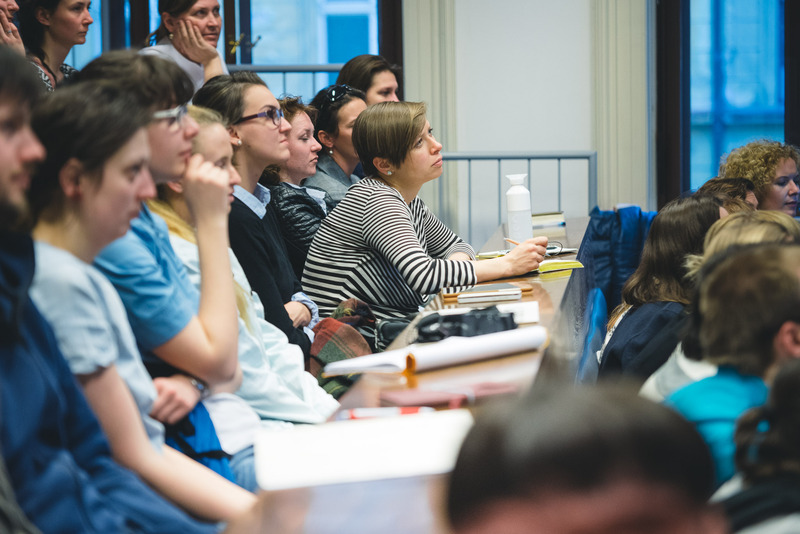 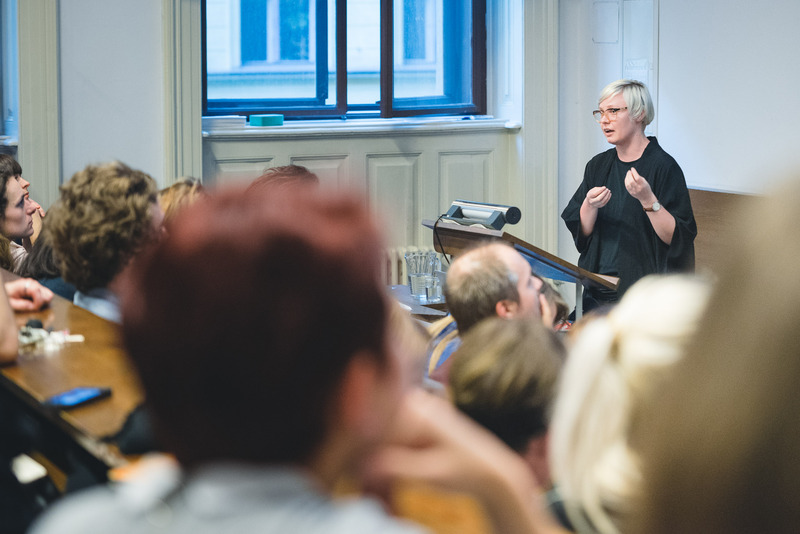 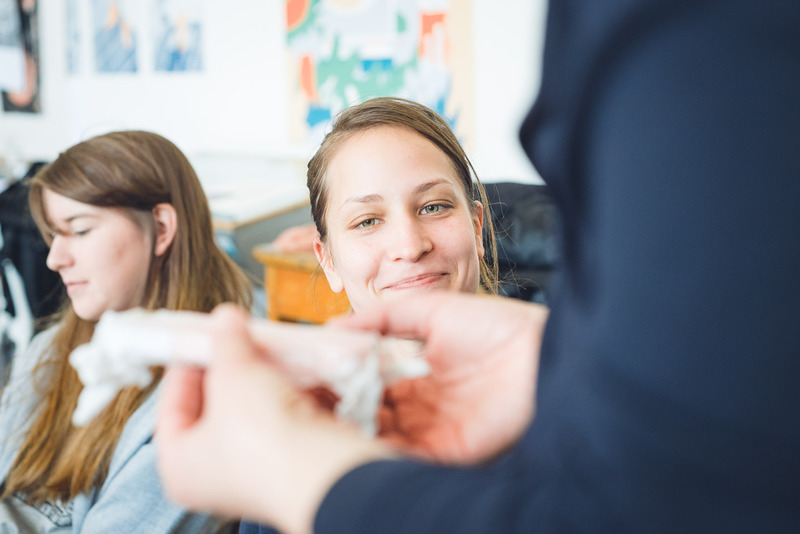 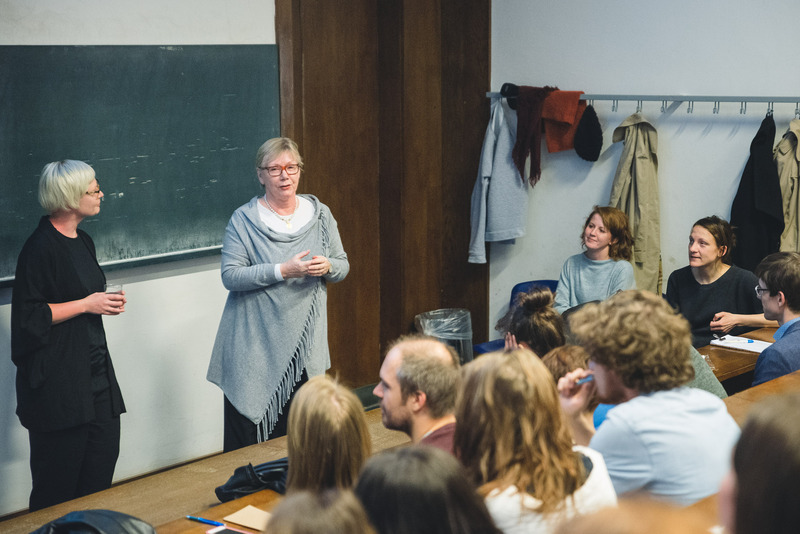 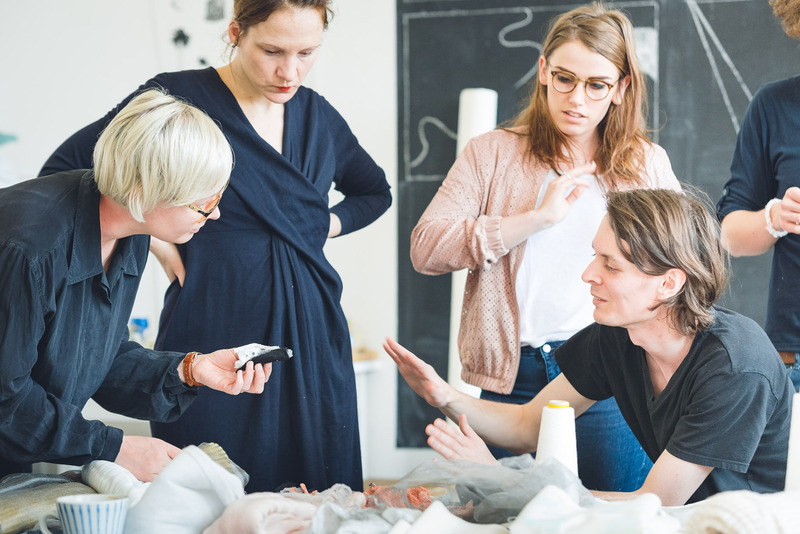 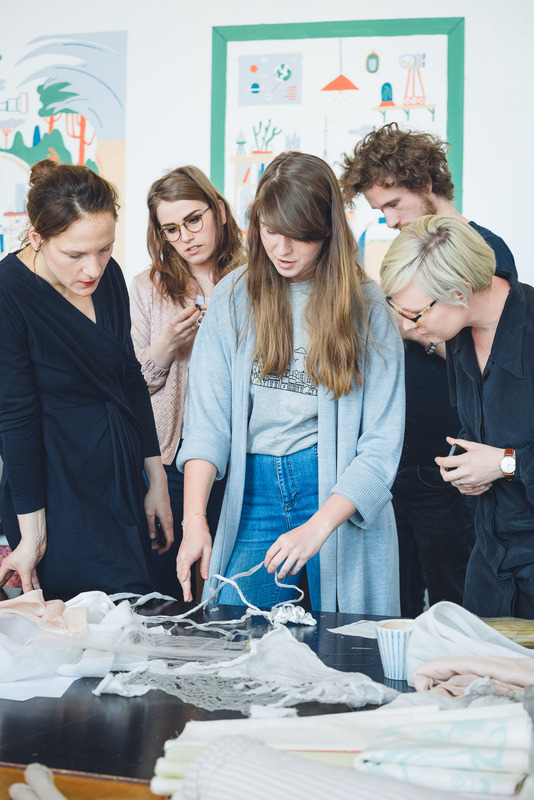 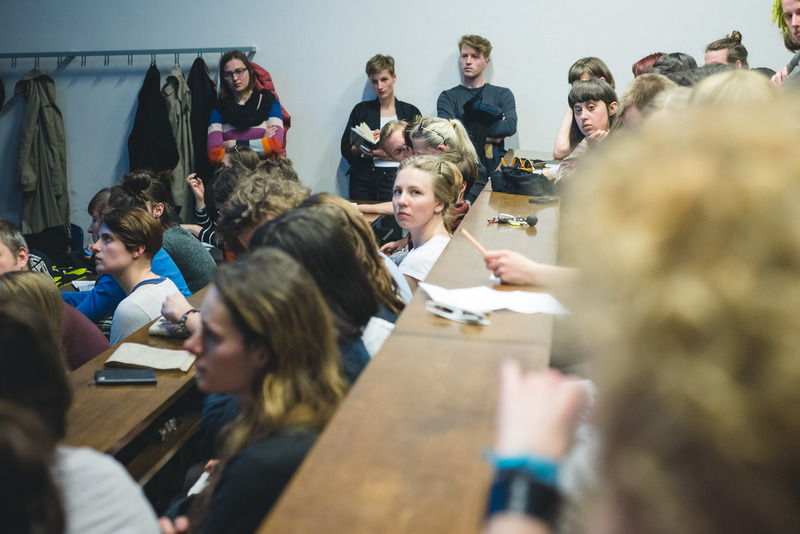 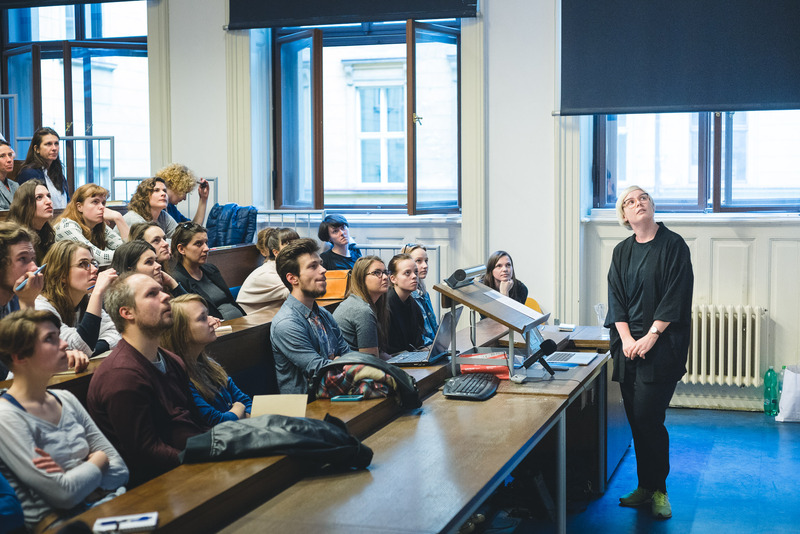 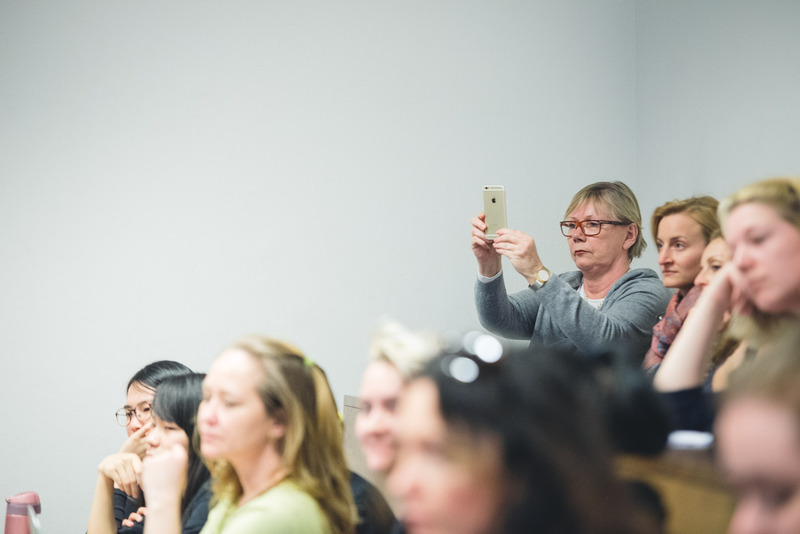 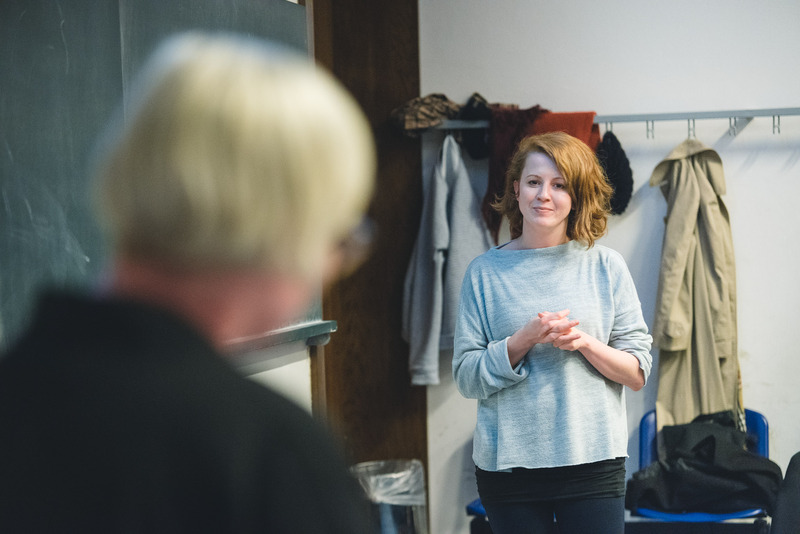 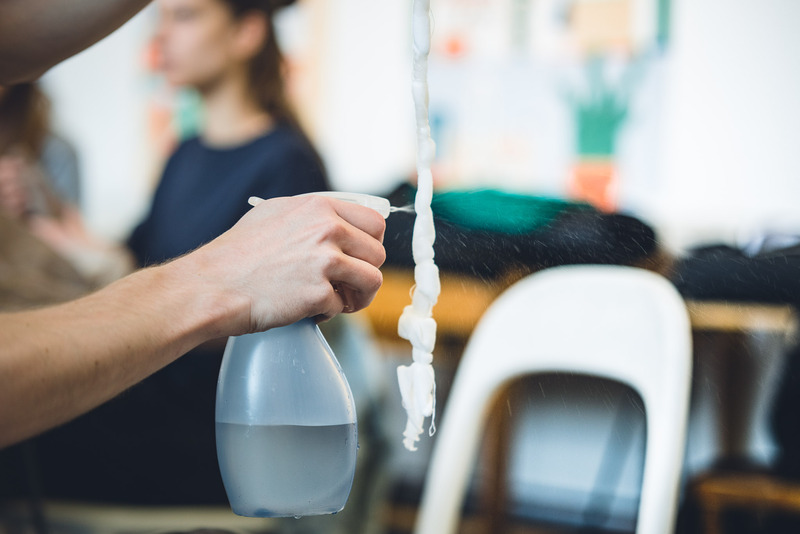 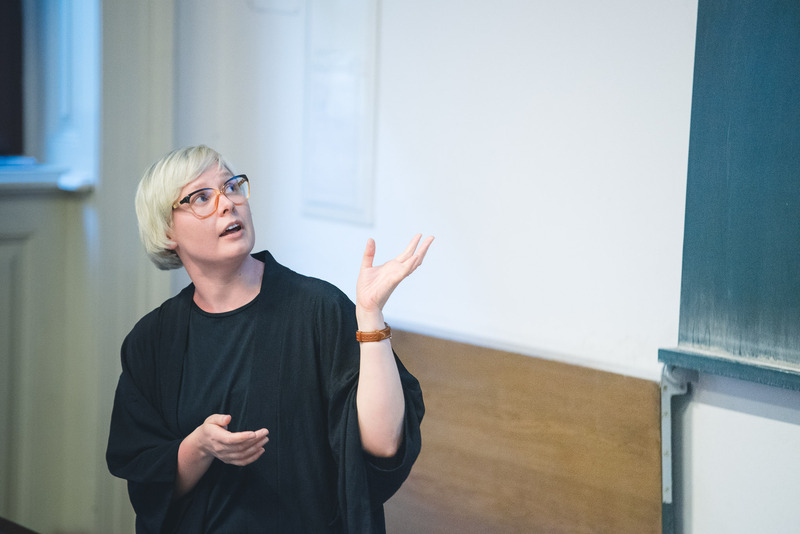 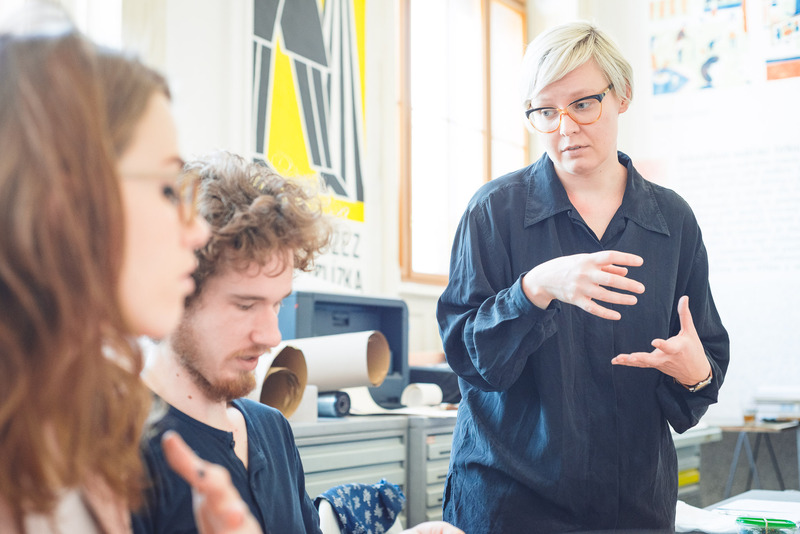 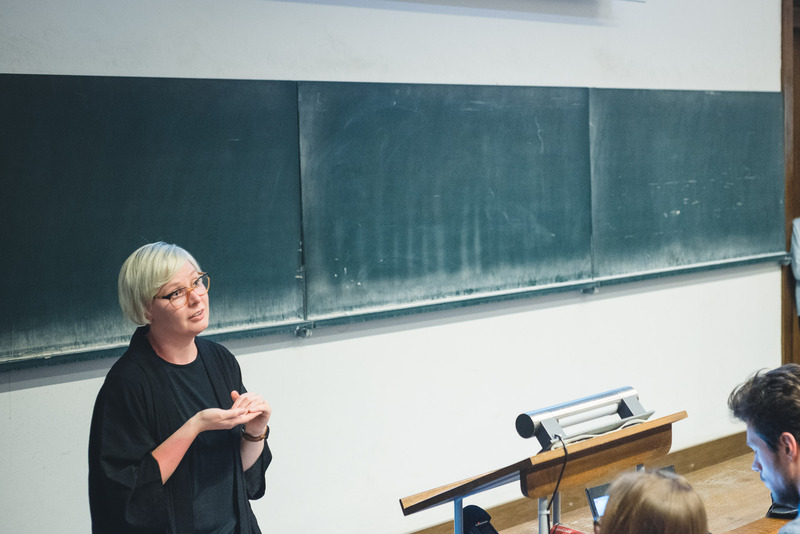 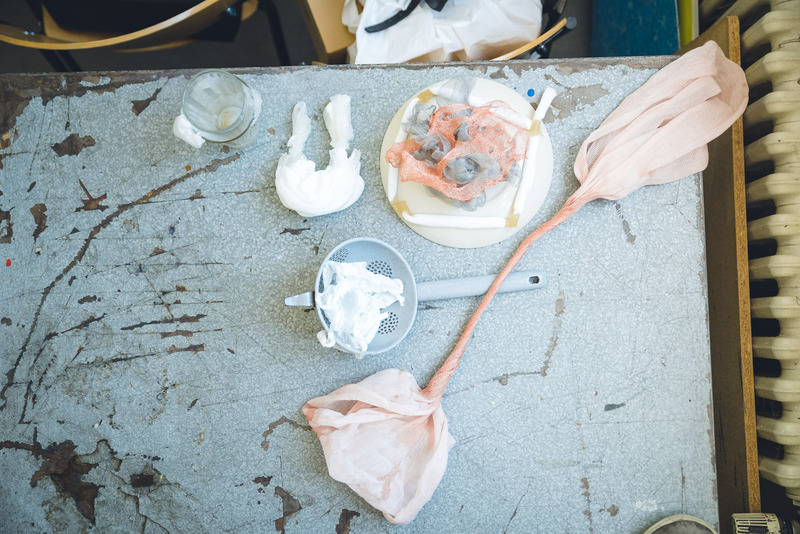 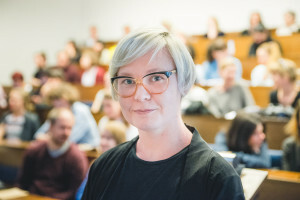 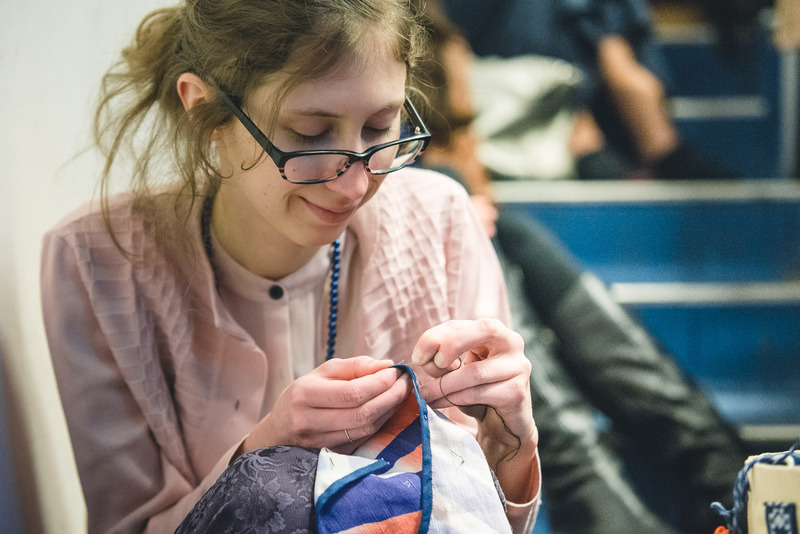 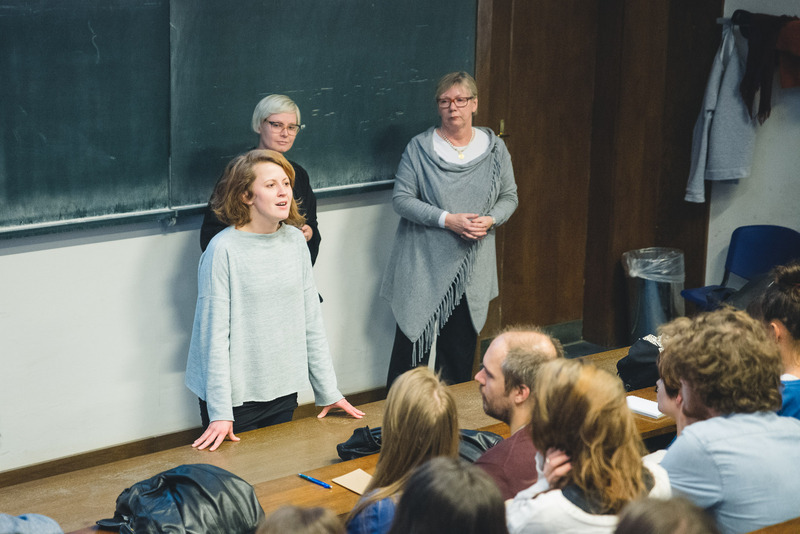 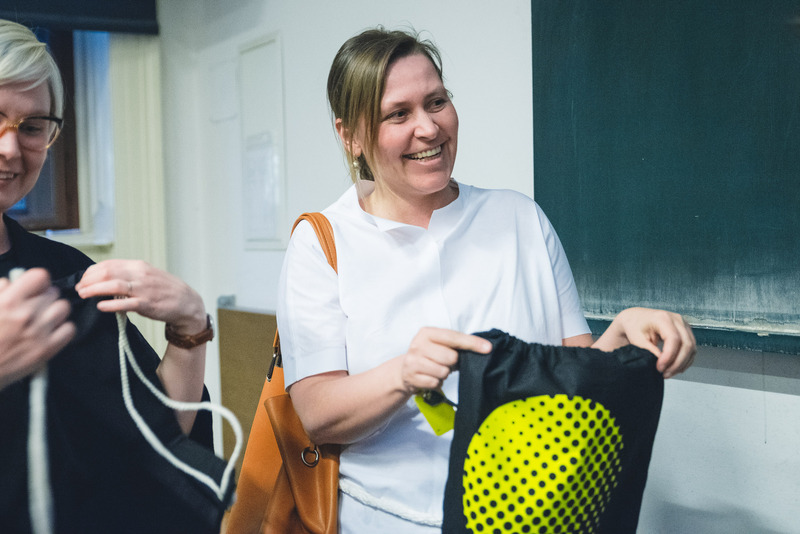 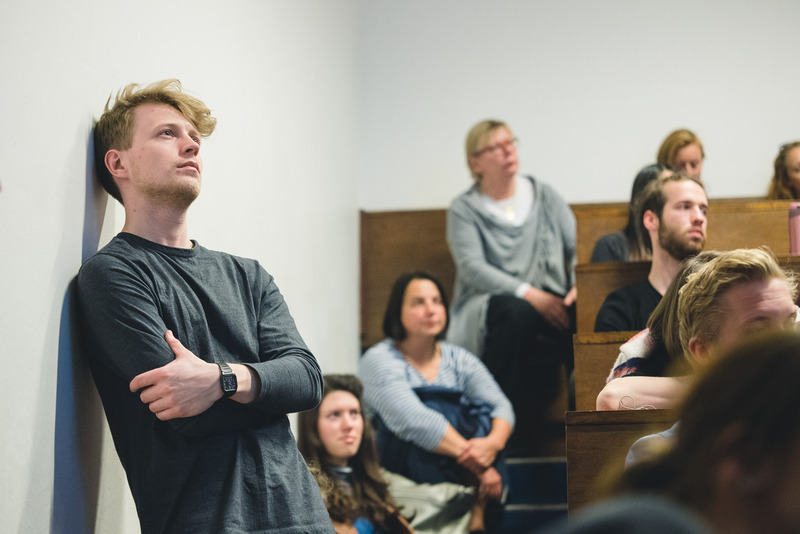 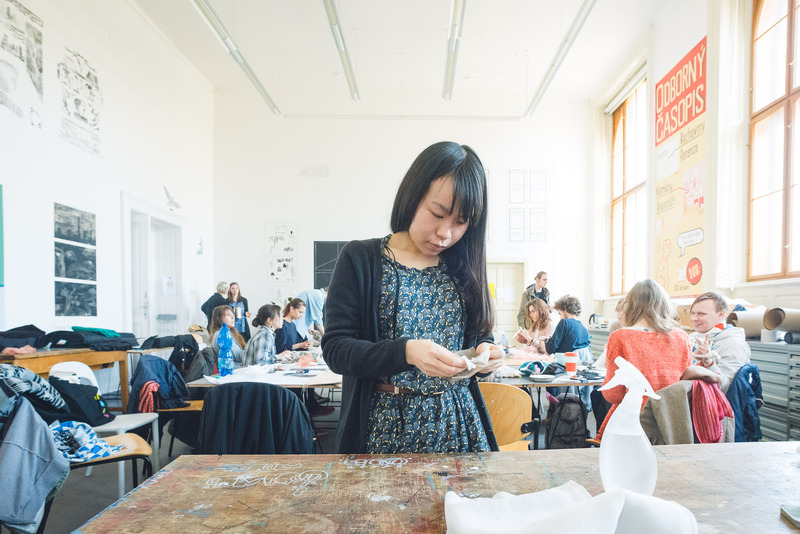 On Friday, April 22, Riikka Talman also guided an all day workshop for students from the Textile Studio at the Academy of Arts, Architecture and Design in Prague. 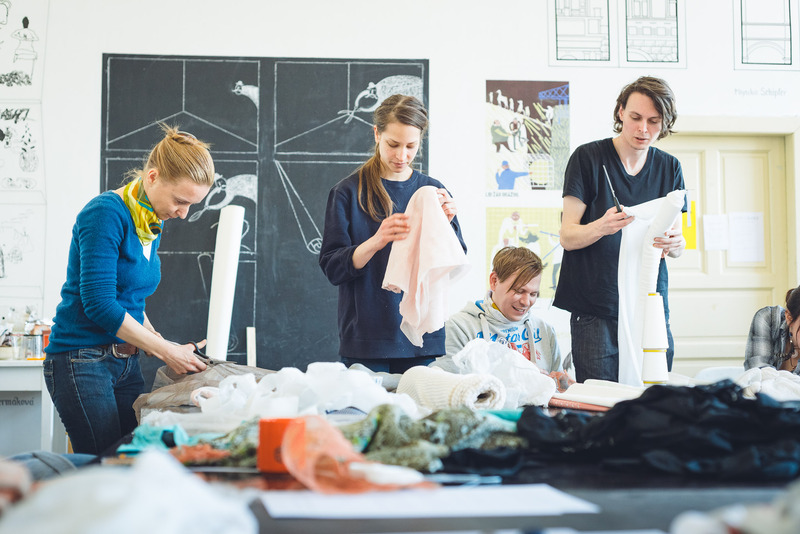 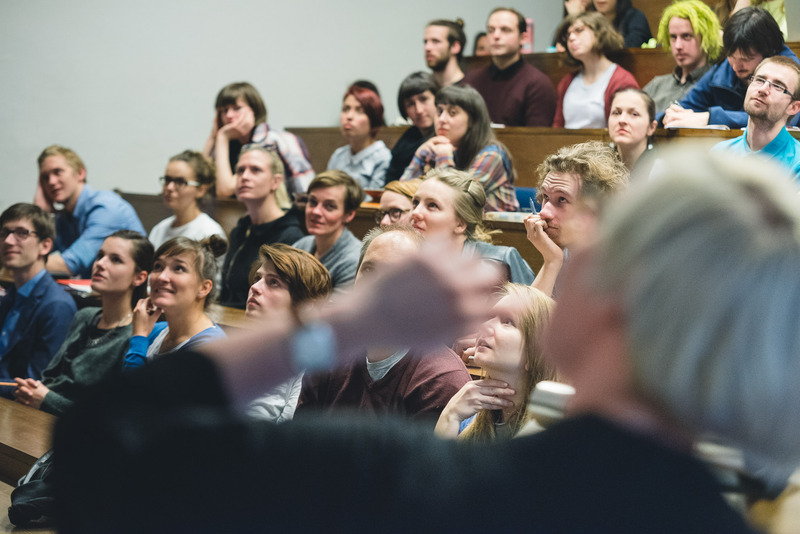 The project was supported by the EEA and Norway Grants, the Swedish Embassy in Prague, Ministry of Culture of the Czech Republic, State Fund for Culture and by the Academy of Arts, Architecture and Design in Prague.